Swarna Varma, MD, is a Clinical Instructor in Medicine at the University of Pittsburgh School of Medicine in Pennsylvania, and is in private practice at Pittsburgh Endocrine & Diabetes Associates. Dr Varma received her medical degree from Christian Medical College in Vellore, India. 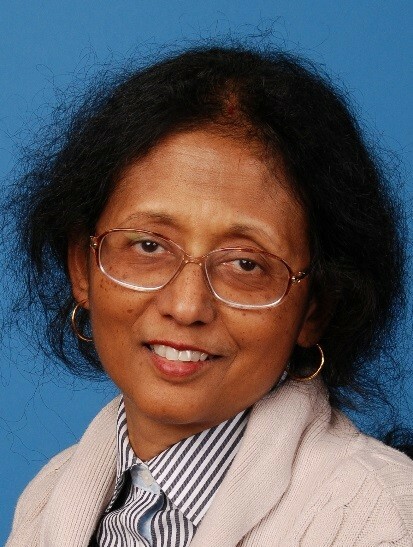 She completed her residency in internal medicine at Hutzel Women’s Hospital/Wayne State University in Detroit, Michigan; a clinical fellowship in endocrinology at Montefiore Hospital/University of Pittsburgh; and a research fellowship in endocrinology at Presbyterian University Hospital/University of Pittsburgh Medical Center. She is board certified in internal medicine and endocrinology and metabolism. Dr Varma is a fellow of the American Association of Clinical Endocrinologists, and a member of the Endocrine Society and the American Diabetes Association (ADA). Dr Varma’s clinical and research interests include the management of diabetes and thyroid disorders. She has coauthored articles published in peer-reviewed journals such as the Journal of Diabetes Mellitus, Diabetes Research and Clinical Practice, and Diabetes. Dr Varma has presented on the topic of diabetes at annual meetings of the ADA. Additionally, in collaboration with software developers, she has developed a software application to implement the practice of a comprehensive “Acute and Preventive Care” model to improve patient care outcomes.